In Heusden Belgium, Andrew Bumbalough shaved four seconds off his personal best by running 13:12.01 for 5000m. 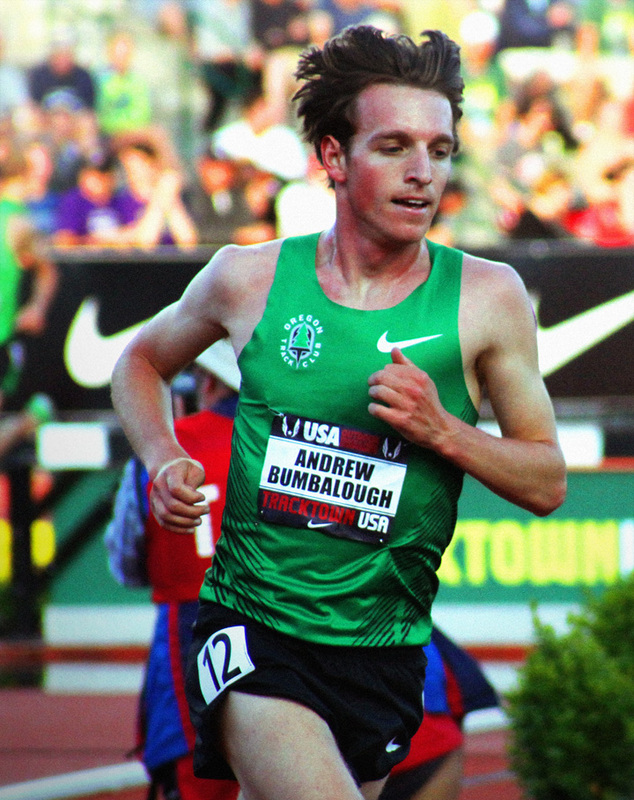 The mark not only is a PB, but now ranks him 18th all-time among Americans. And on that list, ample motivation lies just ahead of “Bumbi” who sits at seventh in the comparable ranking of American indoor performers: with a logjam of Americans at 13:11, Bumbi’s lifetime best is now a mere 2.01 seconds away from 9th position. The Tennessean took 5th in a very competitive race — twelve runners finished between 13:10 and 13:15 — after leading the chase pack in second position, with less than a kilometer to go. Teammate Elliott Heath ran 13:27.60 in the second heat later in the evening, good for a runner-up finish. The mark narrowly missed the Stanford grad’s personal best by just one-and-a-half seconds.